Electrical submersible pumps are the logical choice for monitoring wells when high flow rate purging and low flow sampling is required. They are very reliable and provide continuous sampling rates over extended periods of time, desirable qualities for dedicated monitoring wells. 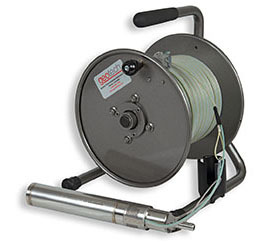 Geotech offers many submersible pumps made for groundwater sampling. They are constructed from stainless steel and PTFE polymers for easy sample integrity and decontamination. Purging rates and low flow sampling to 61 meters (200') with a 12 Volt DC pump! Made from stainless steel for easy cleaning and high durability in demanding environments. The Grundfos Redi-Flo2® with Variable Frequency Drive does it all with precise control. 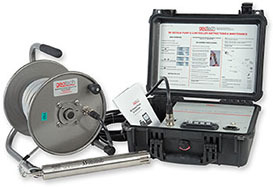 A wide performance range of high flow rates for purging and precision low flow sampling from the same pump. 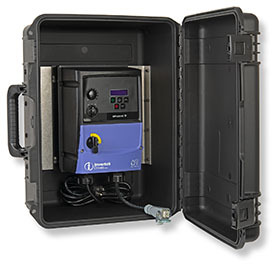 Designed and built for long-term deployment in dedicated monitoring wells, or as a portable system. The Geotech Variable Frequency Drive (VFD) is designed to operate and protect the Redi-Flo2® pump. With the turn of a knob, an operator can precisely control the discharge flow rate from the pump from 8 GPM (30 LPM) to 100 milliliters per minute, to depths down to 280 feet (85m). 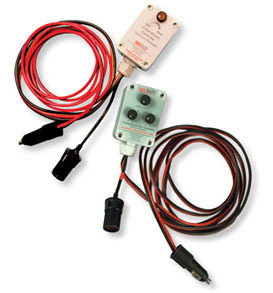 The Geotech 12 Volt DC BUuck and BUuck Plus Controllers are simple variable speed controllers that can be used with the geosquirt™ to easily control the flow rate for low flow sampling and purging.